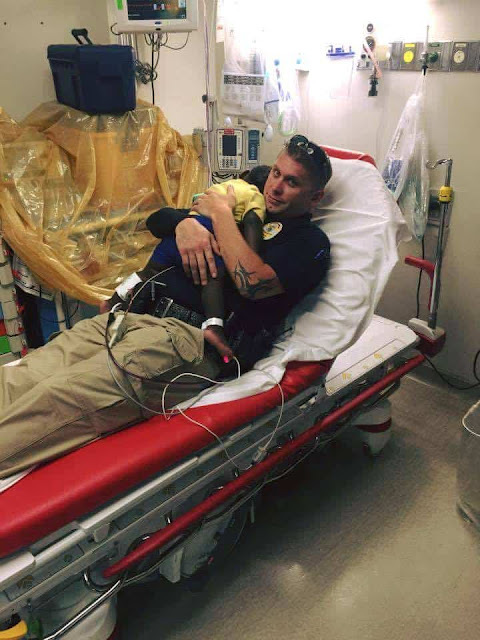 Officer James Hurst and father of two may be new to the police force but he looked like a seasoned pro after finding an abandoned toddler on the streets of Georgia. Officer Hurst and his colleagues were called out to Cuyler-Brownsville neighborhood, Savannah, after reports of a 16-month-old boy wandering the streets alone. A photo of him looking after the child was posted online and he’s been overwhelmed with the response. 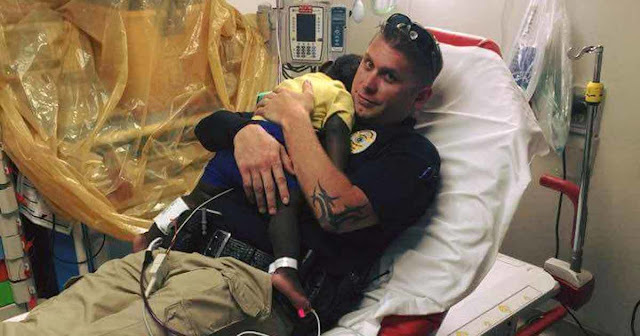 He and his colleagues picked up the toddler and took him straight to the emergency room to have him checked over. The little boy became, understandably, very upset and distressed. 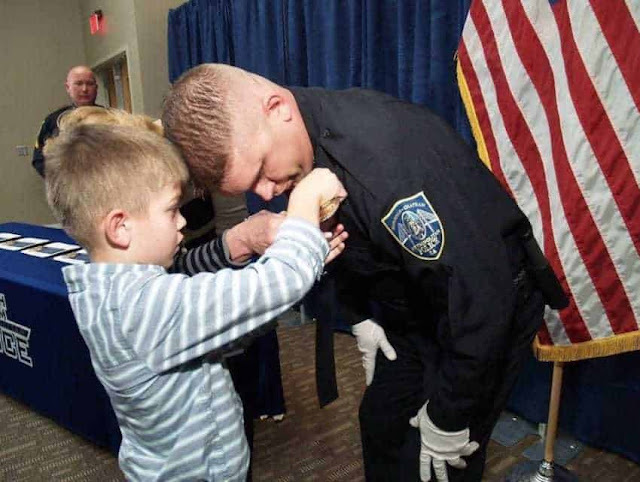 Officer Hurst was so saddened by what he witnessed and knew he couldn’t leave him alone. Officer Hurst’s fatherly instincts kicked in and he managed to calm him down and the toddler quickly fell asleep on his chest. The picture of him holding the child went viral, even though he considers he was just doing his job, and he has been overwhelmed by people’s reactions and praise of his kindness. The toddler is now safe and in good health, in the custody of the Georgia Department of Family & Children’s Services. Hopefully, it won’t be long before the little one is placed in a safe and happy home. Police officers work hard to protect their communities very day. Share this story if you agree and to thank the emergency services for all they do.